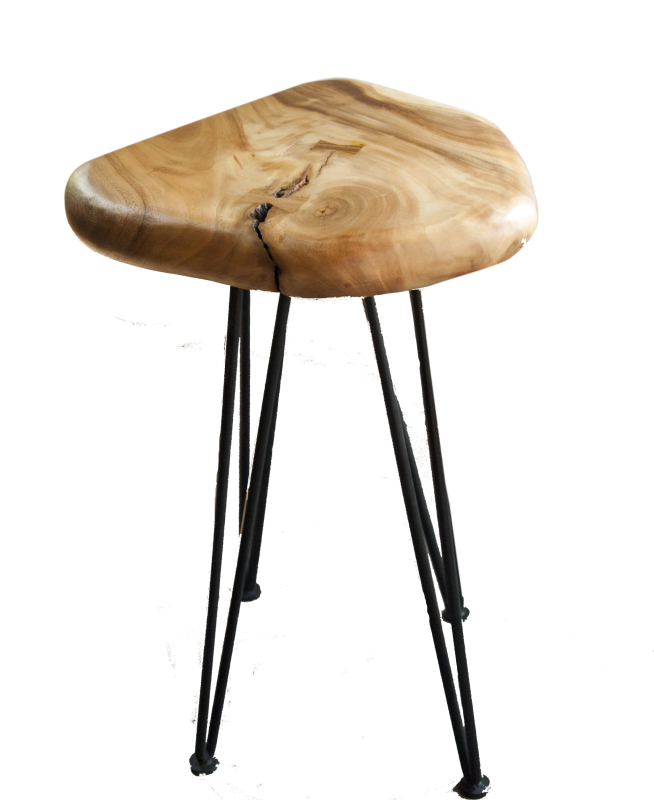 The pebble bar stool is comes in 27" and 29 " heights and is made with a finished acacia slab atop metal legs. It can also function as a plant stand or pedestal. It brings a touch of organic elements into an indoor environment. 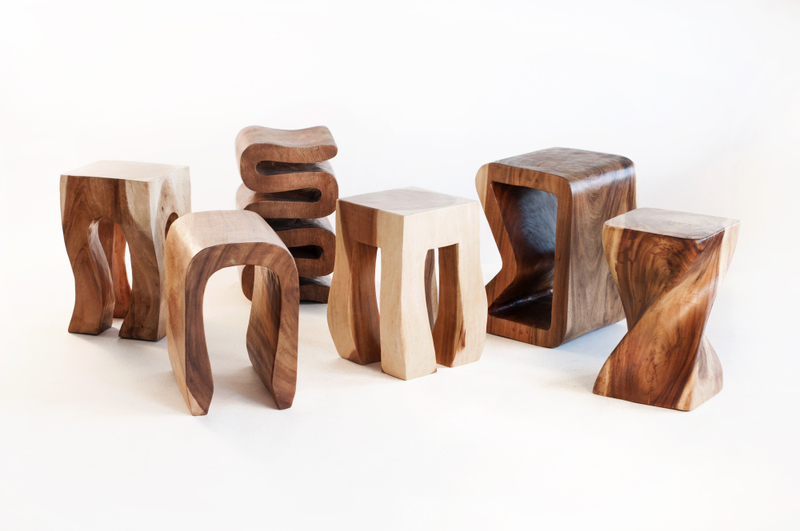 Each piece has different wood character from the next. The photo is for general reference only. 16 x 16 x 27" tall; 25 lbs. 16 x 16 x 29" tall; 25 lbs.